Unified Messaging (UM) provides the ability for users to receive their voice mails, faxes, and emails in a single email client. The MX-SE, MX250 and MXvirtual unified communication systems have integrated voice mail and fax server capabilities. 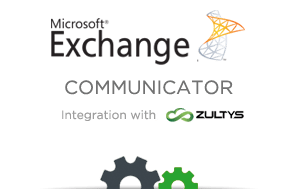 The MS Exchange Communicator (MSEC) software establishes a communication path between the MX system and an MS Exchange Server to provide bi-directional synchronization of received user voice mail and fax messages.